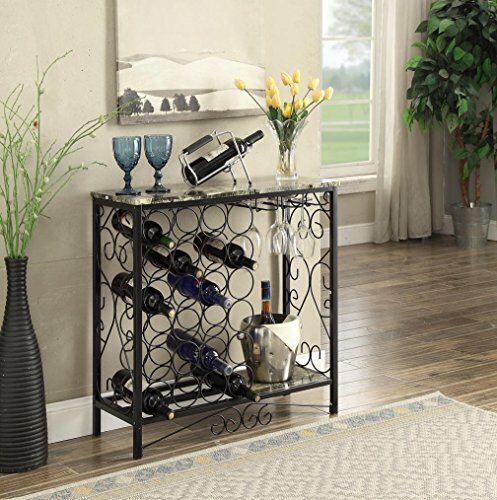 This Black and Marble Look Top with 24 Bottles and Glass Holder Wine Organizer Rack Cabinet Kitchen 36"W is a great addition to your home. Features 24 Bottle Holders with Wine Glass Holder. Measures: 30.5 inches high x 30.5 inches wide x 12 inches deep. Measures: 30.5 inches high x 30.5 inches wide x 12 inches deep.